To be clear, customers in these countries could already download and/or pay for Android apps on Google Play, and developers could already upload free apps, but after today they can charge for apps and in-app purchases and collect revenue from a Google Play Merchant account. 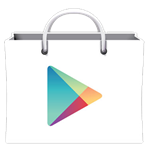 If you want in on the action, head to the Google Play Developer console and set up a Merchant account for $25 USD (or your local equivalent). This sort of expansion takes time, but at present Google is still only allowing developers to sell apps in about a third of the countries that have official access to the Play Store. Let's hope these semi-monthly expansions get even more regular in the future. Source: Google Play Store support - Thanks, Sebouh!